Radio debate - Exotic Animal Industry in the U.S.
A radio debate over whether citizens of the United States should have the right to own exotic pets is scheduled for tomorrow's The Diane Rehm Show on NPR at 11 AM Eastern Time. For more information on the show and how and where to tune in, check out the Diane Rehm Show web site. The right to own pythons, tigers, chimps and other exotic pets depends on where in the US you live. The legal US wildlife industry doesn’t get much national attention unless someone is hurt, an exotic pet gets loose or an ecosystem is damaged. A new report links Burmese pythons released in the Florida Everglades to the severe declines of in the region's mammals. In Ohio police shot and killed dozens of exotic animals including wolves, lions, and bears reportedly set free by their distraught owner. As some fight for more regulation, breeders, brokers and owners of exotic pets say they are being unfairly targeted. Guest host Susan Page and a panel discuss battles over the legal wildlife trade. Researchers at the University of Florida think the Ozark Hellbender may hold clues to the decline of amphibians worldwide. At more than 2 feet long, the Ozark Hellbender is the one of largest salamander species in the United States, with an unusual biological ability to regenerate injured or missing body parts. "In the last 20 years we have been finding a tremendous number of injuries on these animals and those injuries are not healing," Nickerson said in a university release Monday. "Now the population is down to almost nothing and we are very worried about the species and the environmental changes around them." In the study, microorganisms from abnormal and injured salamander tissue were examined for pathogens that may be causing a lack of regeneration and population decline among the hellbenders. The Chytrid fungus has arrived in the Western Ghats. “What we have detected is minimal, but it is very significant because this virus can threaten the already declining amphibian population in our forests to total extinction,” said RGCB scientist Sanil George, who along with Juha Merilla of the University of Helsinki headed the study. With permission from the state Forest Department, the scientists had taken swabs off the frog’s skin from various locations in Kudremukh, Agumbe, Aralam, Athirapalli, Periyar, Munnar, Vellarimala, Ponmudi and Peppara regions of the Western Ghats. This was the first such screening reported from the Indian sub continent, which until now, was generally believed to be free of the deadly fungus. The ICUN Red List is finding that right now, amphibians are at the largest risk of extinction. Professor Carsten Rahbek from the Center for Macroecology, Evolution and Climate (CMEC) at the University of Copenhagen and his team identified various factors that put global amphibian diversity at risk, but noted that the spatial distribution of these threats and interactions are poorly known. Climate change, land use change and the fungal disease chytridiomycosis are some of the serious threats that the amphibian species face. The researchers postulate that the greatest proportions of species adversely affected by climate change, what is probably the most serious threat, will be in Africa, parts of northern South America and the Andes. Their data also suggest that amphibian declines will probably accelerate in the 21st century, due to the multiple drivers of extinction that could threaten their populations more than previous, monocausal assessments have reported. Rhode Island is the latest entity to introduce legislation aimed at reptile owners and hobbyists. 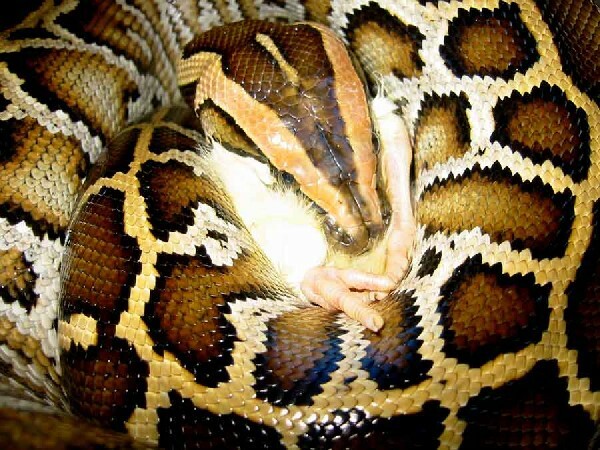 Introduced by Senators Tassoni, Lynch, Perry, and Pinga Senate Bill 2033 proposes a ban on the ownership of pythons and boa constrictors in Rhode Island, giving reptile hobbyists in the tiny state a double dose of regulation indigestion. Should it become law, anyone found in possession of these animals will face fines of at least $1,000. The bill as introduced prohibits ownership of the following: Alligators. Crocodiles. Pythons, and Boa constrictors. The Chelonoidis elephantopus tortoise was thought to be extinct, but the presences of its genes in hybrid stock tell a different story. A genetic analysis, published in the latest Current Biology, found that DNA footprints of the long lost tortoise species, Chelonoidis elephantopus, exist in the genomes of its hybrid offspring. These tortoises turn out to be a mix of C. elephantopus and another giant tortoise from the area, C. becki. While researchers have yet to isolate a purebred C. elephantopus individual, such tortoises must exist, based on the DNA data. The study marks the first time that a species has been rediscovered by way of tracking the genetic footprints left in the genomes of its hybrid offspring. "This work also underscores the importance of museum collections in facilitating new discoveries," co-author Ryan Garrick told Discovery News. "Here, we were able to extract DNA from tortoise bones that were collected many decades ago, and use this DNA to characterize the gene pool of purebred C. elephantopus." Kingsnake.com user Mark Haas is currently in intensive care after being shot while transporting animals for sale. Our hearts and thoughts are with Mark at this time for a quick and speedy recovery. Mark L. Haas remains in intensive care with a collapsed lung at Crozer-Chester Medical Center after being shot Sunday in the parking lot of Woodlyn Shopping Center, said Ridley Police Lt. Scott Willoughby. His injuries are not life-threatening, he said. Haas was supposed to sell the snakes to a buyer from New York, but police still do not know if the deal went bad or Haas was the victim of a random carjacking. The suspect took off in Haas' car with two boxes of snakes inside and eventually hit a pole in Folsom, then ran away. Willoughby said police found the car and removed the boxes - one containing 20 baby pythons and the other a five- or six-foot python - back to the police station so they would not freeze. The Water Monitors (V. salvator) of Malacca are being hunted to extinction for meat, leather and medicine. “Fifteen years ago, these reptiles could be easily spotted lazing along the river bank of scenic Malacca River. Now, they are hard to come by,” said city councillor Ronald Gan Yong Hoe. “In some countries, monitor lizards are protected under Endangered Species Acts. We hope the state government will move to conserve our local reptiles,” the member of the Malacca Historic City Council said. “If nothing is done, the extensive poaching of this reptile could lead to its extinction,” he said. Gan said the local monitor lizards, known locally as biawak, are large water monitor species (varanussalvator) capable of growing up to three metres long and 25 kilos in weight. He said that apart from their skin and meat, the reptlie was sought for a liquid from its body that was commonly believed to increase sexual prowess in both men and women.